Data that Strategic Programs has collected from new, current, and exited drivers is telling us that one of the dissatisfiers across the industry is a lack of promotional opportunities. More specifically, there seems to be a lack of communication regarding opportunities for advancement. I’ve met with several clients who have agreed that this is indeed the case, which leads to the obvious conversation – what do we do about it? Telephone hold message – If a driver has to be put on hold to talk to the right person, why not let them know where they can go to review current job openings while they’re waiting? Break rooms/terminal lounges – You don’t have to post actual job openings here, but again, let drivers know where they can go to find current openings, as well as how to apply and where to get help and support with the application process. Social media – Facebook, Twitter, and LinkedIn are highly visible places to post opportunities. I’ve seen plenty of large trucking companies post job opportunities on Facebook, and they’re getting a lot of traction out of it. Company newsletter – Placed in a prominent location, communication around job opportunities can be a successful way to get the word out to current drivers. Surprisingly, our data shows that drivers who are the least satisfied with opportunities for advancement are those who have only been with the company 6 months or less. 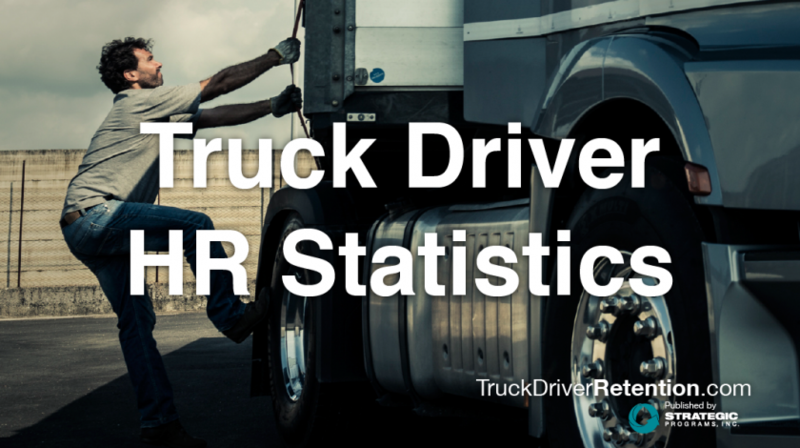 This is also a group that has one of the highest percentages of turnover within the trucking industry, lending weight to the importance of focusing on this group. Many clients ask why drivers who have only been around for a few months are already concerned with promotional opportunities, or blame the lack of satisfaction on the sense of entitlement that the younger generation seems to have. In all actuality, new employees just want to know that there are opportunities for them to advance down the road; that they can have a career, not just a job. It’s a fair concern, and one that should be addressed early with a new driver’s manager. Having conversations with new and tenured drivers about the opportunities for advancement within the company, when a driver will become eligible for advancement, and what they need to do in order to qualify for advancement can go a long way toward improving perceptions regarding opportunities for advancement.